Most of the time when you have Thanksgiving dinner, you are headed to someone else’s home. At least, I know I am. I have only hosted Thanksgiving dinner once in my own home, and that was about 10 years ago. While I have nothing against hosting Thanksgiving, I won’t complain that I don’t have to get my whole house ready as well as cook a lot of the food. When you do go to dinner in someone else’s home, it’s always a good idea to take a host gift with you and let them know that you are grateful for them to be hosting such a large, beautiful dinner. 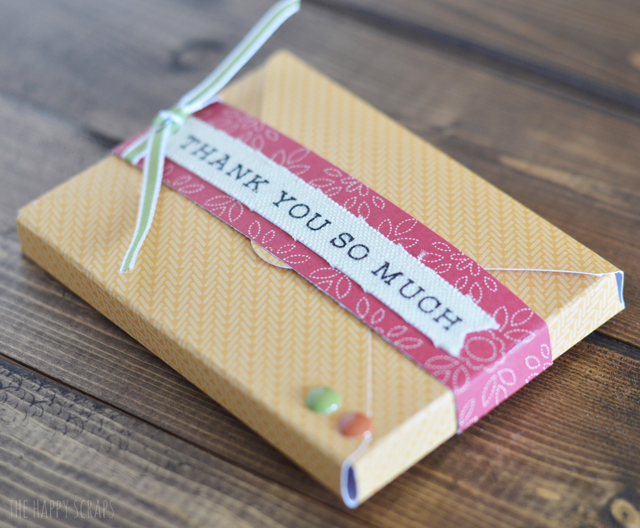 Today, I’m sharing this super simple Thanksgiving Host Gift with you. This is something that could easily be modified to be for any occasion as well. 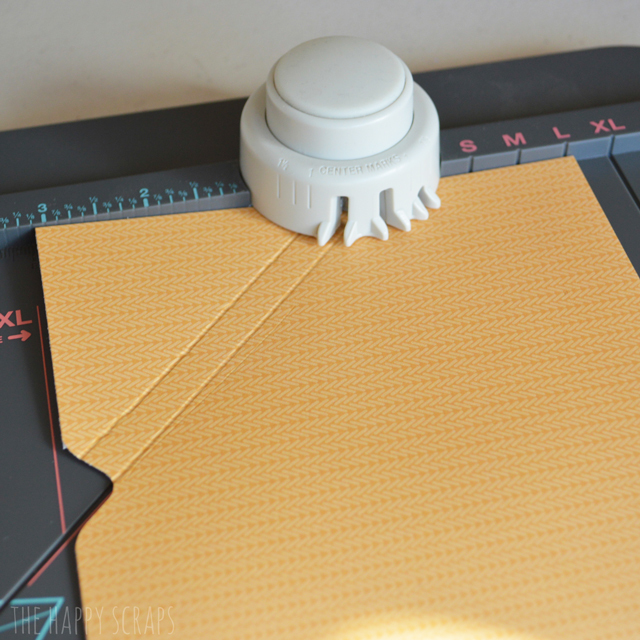 To begin, you’ll need to trim a paper to be 6″ x 6″ or just use a pre-cut piece that size. 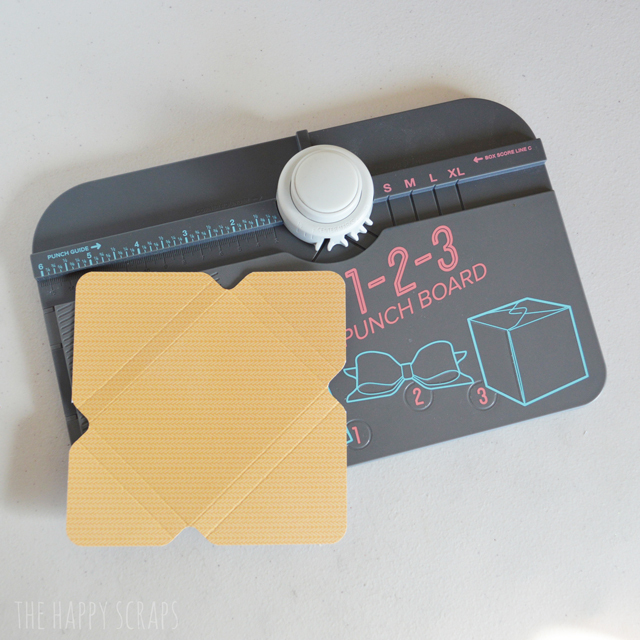 Place your paper on your 1-2-3 Punch Board and follow the directions for a box envelope. Once you get the punching and scoring done, it will look like this. 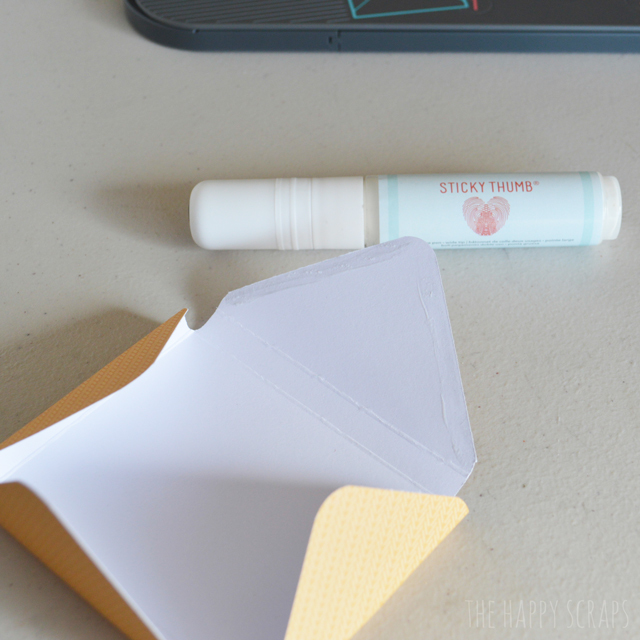 Use your adhesive to glue your little box envelope together. Leave the top un-glued. 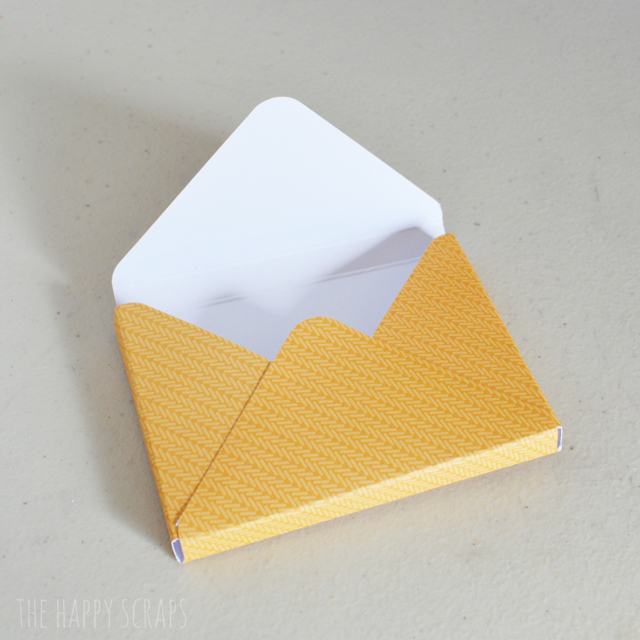 Now you are ready to put a gift card or something else that is small and fun inside. 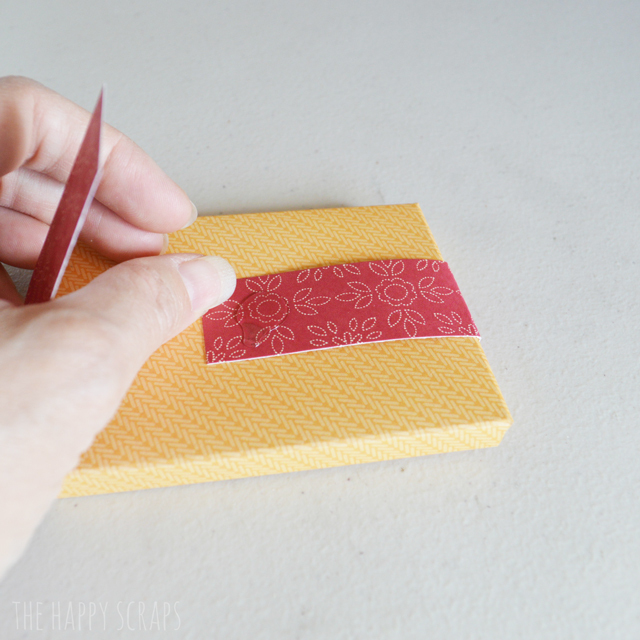 Cut a strip of paper to go around the little box. Wrap it around and secure it on the back. 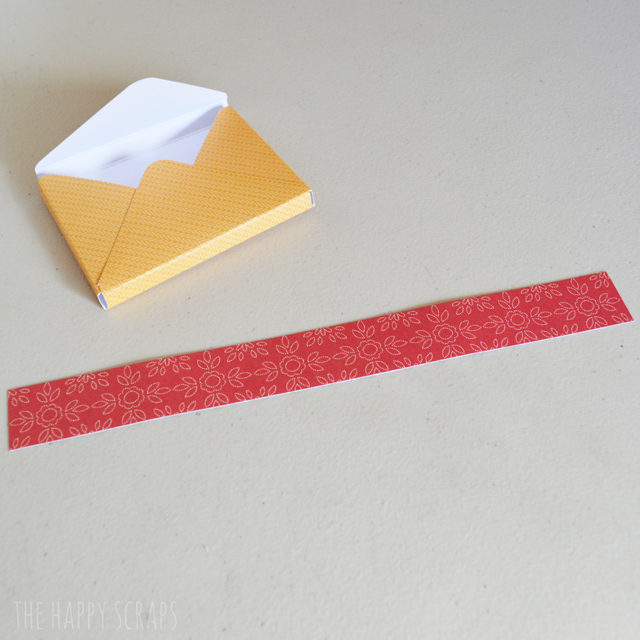 You strip of paper is what holds the envelope closed. Finish it up by embellishing it. Add some ribbon, the fabric sticker and some enamel dots. 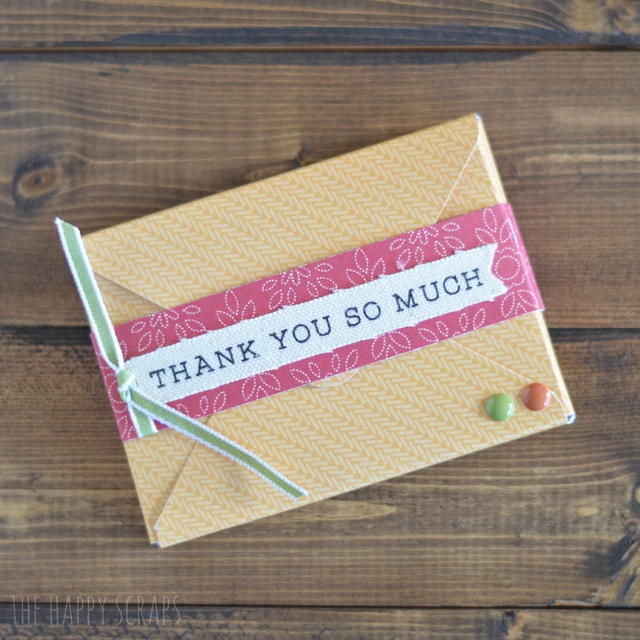 It really is such a fun project and one that I’m sure the host of Thanksgiving will appreciate + it really could be used for any kind of thank you gift. 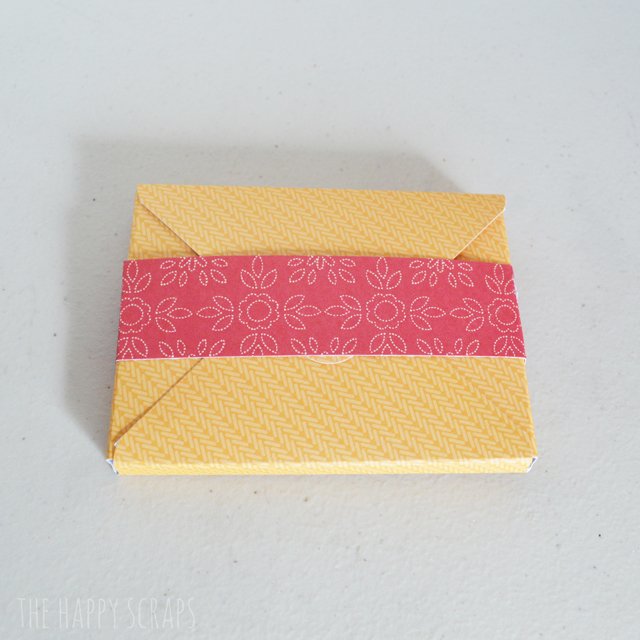 This is a project that I previously shared on the Pebbles blog. 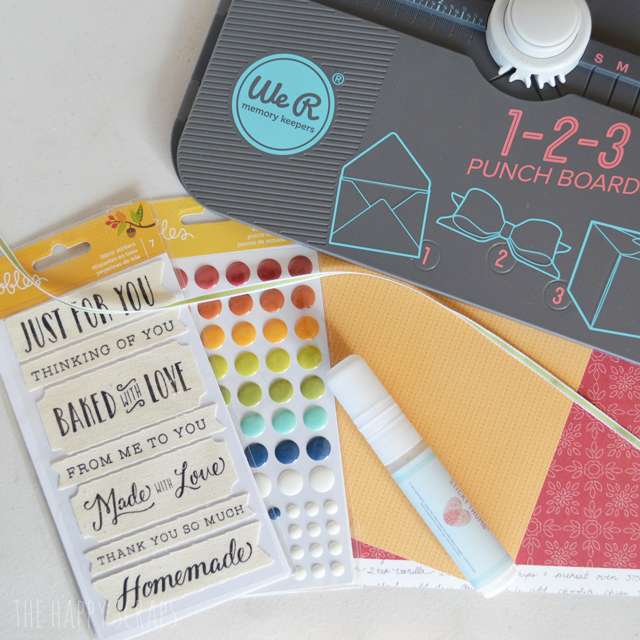 This is definitely a relatively simple, but cute hostess gift! Thanks for sharing.